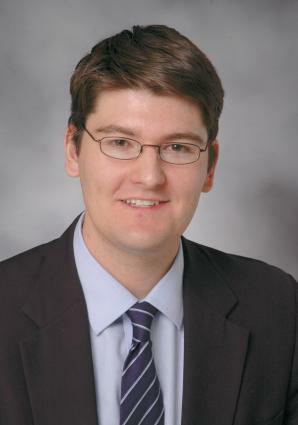 Eric Bourassa is the Massachusetts Public Interest Research Group's (MASSPIRG) Consumer Advocate. MASSPIRG is a statewide non-profit, non-partisan public interest organization with 50,000 members across the state. MASSPIRG works to promote consumer protection, environmental preservation, and good government. Eric works to make sure that consumers in Massachusetts have a voice in public policy decisions that affect them, including protecting consumers from identity theft, unsafe products, deceptive lending, and rip-offs in the marketplace, and also acts as a watchdog on public transit, corporate tax subsidies, and media consolidation issues. Eric recently answered a few questions on identity theft and how to prevent identity theft for LoveToKnow readers. Enjoy! Identity theft is the fastest growing crime in America. According to the Federal Trade Commission identity theft affects approximately 10 million Americans annually, costing consumers and businesses $52 billion a year. ID theft is also a huge problem for law enforcement, costing time and money to investigate what should be a more preventable crime. Identity crimes occur when someone gains access to a person's name and pieces of their financial or key identifying information, and use that to steal their money, open credit or commit a crime in their name. Is it easy for someone to steal another person's identity? Yes, all you really need is a person's full name and their social security number. Can an identity thief ruin someone else's credit? Some of the worst type of identity theft happens when thieves gain access to a person's name and social security number, and use that data to open new credit accounts, wrack up debt and ruin their credit. Often consumers are unaware and do not find out until they are denied credit because their rating is so bad, or they are harassed by collection agencies. What is the first thing you should do if you think you may be a victim of identity theft? Cancel any accounts associated with lost credit or debit numbers. Report the loss to police and see if they will issue you a police report. Put a 90-day fraud alert on your credit report by contacting the Federal Trade Commission. Closely monitor bills and account receipts. Get a copy of your credit report. Should victims change their social security number? It is incredibly difficult to get a new social security number. Is there any way to prevent identity theft? Since 2005 we have seen companies and government agencies suffer huge security breaches that expose consumer's social security, debit and credit account numbers-Veterans Affairs Administration, Fidelity Investments, the Boston Globe, and most recently TJX Company are examples of breached entities. The heart of stopping identity theft before it happens involves giving notice to consumers if their data has been lost or stolen and allowing consumers to protect their credit. The two core legislative provisions that states are passing involve the Security Breach Notification and Credit Report Security Freeze. Breach Notification is critical because it requires any entity that collects consumer's info to notify them if that data is lost or stolen, in a timely manner. Notification allows consumers to close accounts, closely statements, and review their credit reports. It also gives entities that collect consumers' information an incentive to better safeguard that data. Otherwise they will suffer the cost and embarrassment of notifying affected consumers. Security Freeze allows consumers the ability to block access to their credit report so thieves cannot open new credit accounts and rack up debt in their name. A consumer creates a password with the three major credit reporting agencies that prevents their credit report from being issued for credit granting purposes, without their permission (passcode). No credit report, no new credit account. Therefore, the consumer becomes the gatekeeper of his or her own credit information. Since 2000, 35 states have passed Breach Notification requirements and 26 states have passed Security Freeze laws. Are there any special safeguards that should be implemented on the Internet to prevent identity theft? Prevent social security numbers from being bought or sold, and crack down on the number of Internet sites where you can purchase other consumer's info, like all these background people search sites. Do you have any additional tips for individuals who want to prevent identity theft before it happens? Use an assigned number other than your social security number on your driver's license. Shred papers with confidential information before disposing. Check your bank and credit card statements carefully each month for any unexplained activity. Store your social security card in a safe location other than your purse or wallet. Consider buying a mailbox that locks or installing a mailbox slot in your door to protect bills, convenience checks, pre-approved credit offers, etc. before you get a chance to shred them. Opt-out of dangerous pre-approved Credit Offers by calling -1-888-5-OPTOUT, which is a number, established by the three major credit bureaus, allowing you to opt out of most pre-approved credit offers.